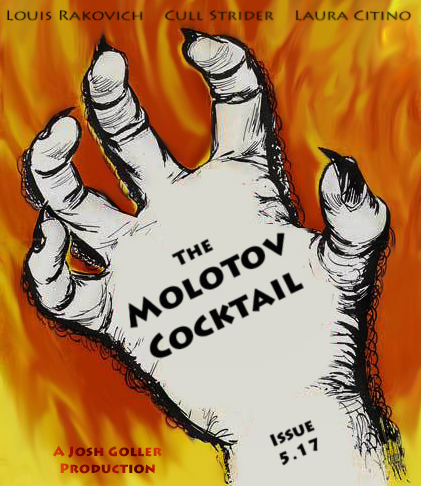 Issue 5.17 will drag you to Hell. Within its cyber pages, we’ve got marine maidens, insatiable scavengers, and lawn-mowing voyeurs. We’ve also authors who grew up in Jerusalem, live near the Arctic Circle, and are allergic to nearly everything. Another fine showing for our second contest, the Flash Future. The deadline came and went on 11/30, but we’re keeping it open for a few more days for our patented Procrastinator’s Special. If you’ve got some future-themed flash fiction, send it over before it’s too late for reals. Results posted for New Year’s Eve. And stay tuned for details on our next quarterly contest.